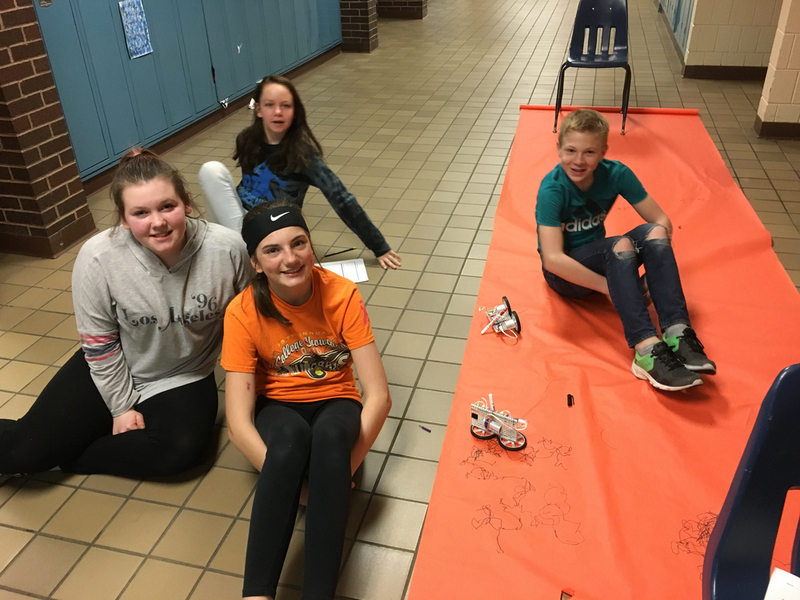 Over the past few days students in Mr. Smith’s Technology class have been designing machines to draw an image on paper. They then redesigned the machine to see if they could have more control over the machine and create a better piece of artwork. One of the biggest challenges throughout the project is figuring out how to keep the machine from falling apart using different designs. Students have really enjoyed working in different spaces throughout the project and be able to complete a hands-on project.